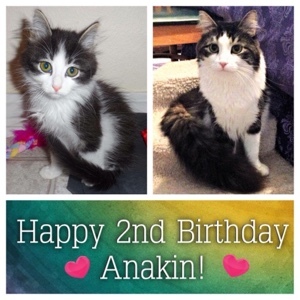 Help Me Wish a Very Happy 5th Birthday to My Gorgeous Anakin!! 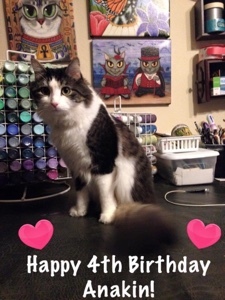 🎂🎉🎁😺❤️ Wishing the most wonderful birthday ever to my amazing handsome lil man & many more! 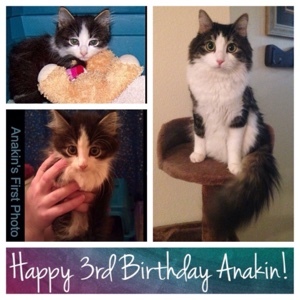 Anakin, we love you so much! You are such an awesome cat! Xoxox!! 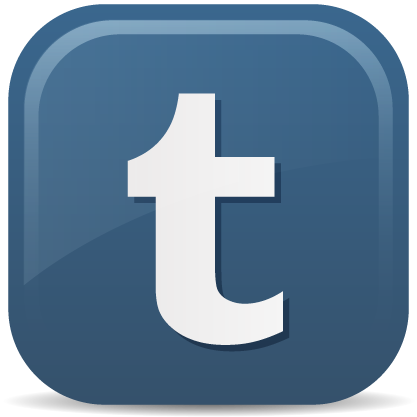 * I've posted all Ani's Birthday pics over the past 5 Years! 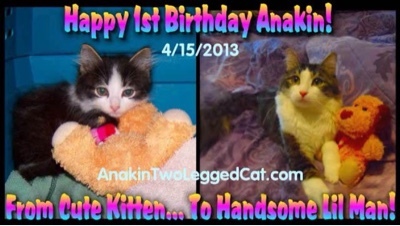 Happy Birthday, Handsome Ani!! You get more handsome as you grow older!! Have a fabulous fifth birthday. Hope you received my card! Thank you so much Sandy! :) Not yet! I need to get out of the house & go to the post office :D xoxo! I'll let you know. Happy birthday to my favorite miracle kitty! WOW! 5 already??!? Happy Birthday cutie! Happy Birthday from Chicago Ani. Have a long life, Ani! 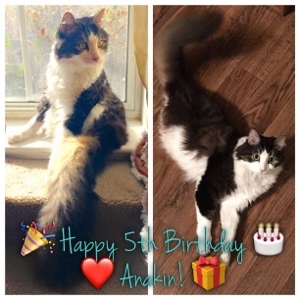 Happy 5th Birthday Ani! Sorry it's a bit late as i've been away. I remember when you were a tiny kitten,where has the time gone! You were so lucky to get such a good home back then. Here's to many more birthdays!! Thank you so much Kathy! <3 I hope you are doing well xoxoox!